Sunday, September 23, 2018 the ABA Triton 100% Plus Team Tour held its final tournament of the regular season that launched from Paris Landing Sate Park on Kentucky Lake located in Buchanan, Tennessee. 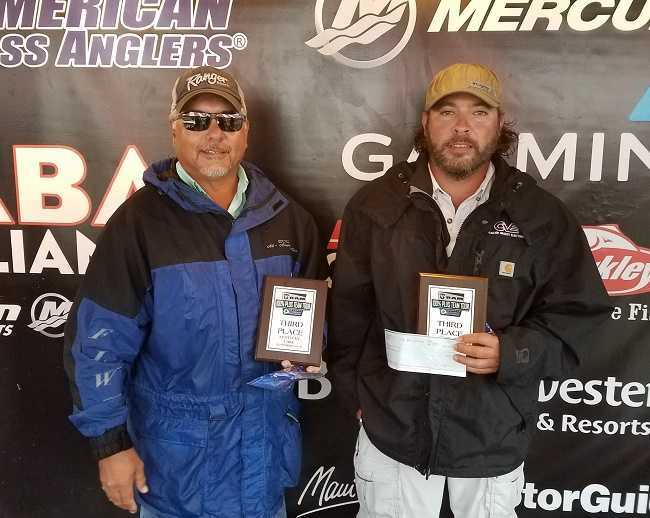 Forty-eight teams went to battle in tough weather conditions to try and win the 2018 Triton 17TX powered by a 60HP Mercury four-stroke with Garmin Echo-map plus 93SV valued at 20K. 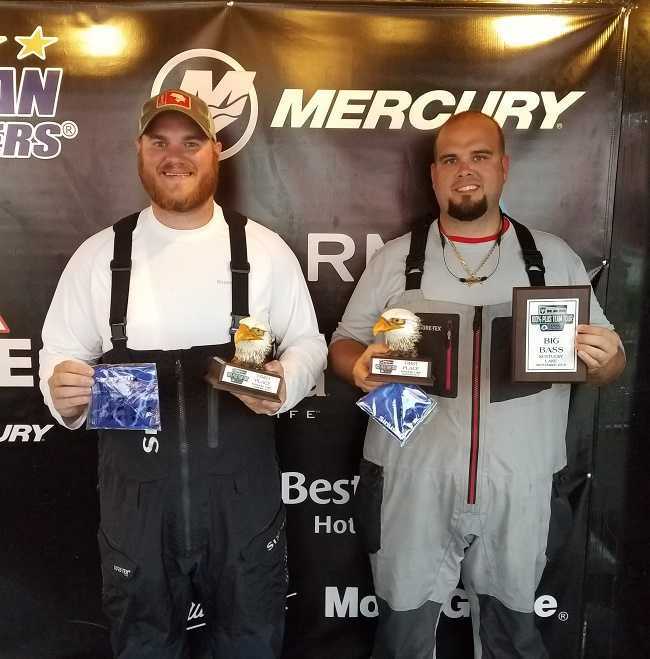 With a 4.33-pound lead over 2nd place Joseph Mallicoat and Mark Johnson, both from Lebanon, Tennessee took the victory weighing in 5 fish for a total weight of 25.00 pounds. 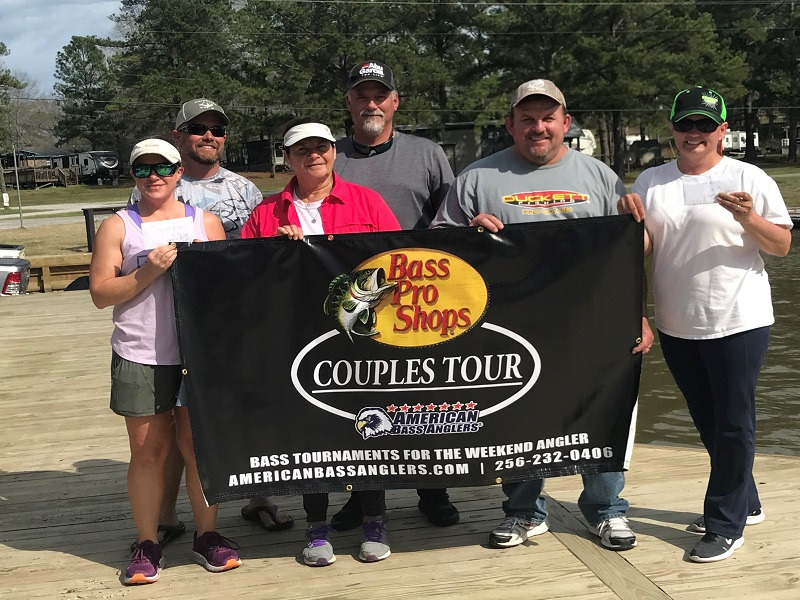 The team also earned a check for $850 for taking 1st place in the High Stakes Option Pot and $380 for weighing in the biggest bass at 5.99 pounds. “We ran up North fishing shallow river bars we stayed in one area fishing top water all-day throwing different styles of walking baits. We had 8 bites and landed 5 fish all-day that ended up being the right ones, catching our biggest fish around 10am,” said Mallicoat. Second place team Joseph Anderson and William Lawrence brought 5-fish to the scales weighing 20.67 pounds. They earned a check for $1800.00 for their catch. “The morning started out decent we put a good fish in the boat early throwing atop water bait. 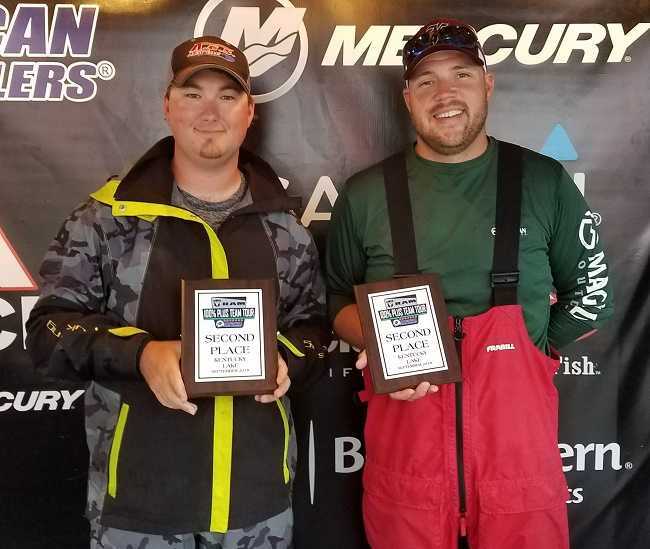 Later in the day, we found some fish in deeper water and ended up filling our limit of 20.67 pounds using a jig with about an hour to go in the day,” said Anderson. Coming in 3rd place was the team of Lloyd Pickett and Josh Taylor bringing 5-fish to the scales weighing 20.59 pounds. They earned a check for $1200.00 for their efforts. “We started our day going North due to the Northeast wind, we tried to stay East as much as we could we were fishing ledges catching fish anywhere from 1ft deep to 25ft deep using a crankbait, spinnerbait, Carolina rig and a jig. We ended up catching a total of 15 keeper fish all day as we culled out to catch our limit of 20.59 pounds,” said Pickett. Finishing 4th was the team of Matthew Robertson and Billy Sumner weighing in 5-fish at 18.92lbs. Earning a check for $800.00 for their efforts plus a check for $450.00 for 2nd place in the High Stakes Option Pot. Rounding out the top 5 was the team of Hunter Garrett and Marshall Russell weighing in 5-fish for 17.97lbs. They earned a check for $750.00 plus a $350.00 check for the High-Stakes Option Pot. 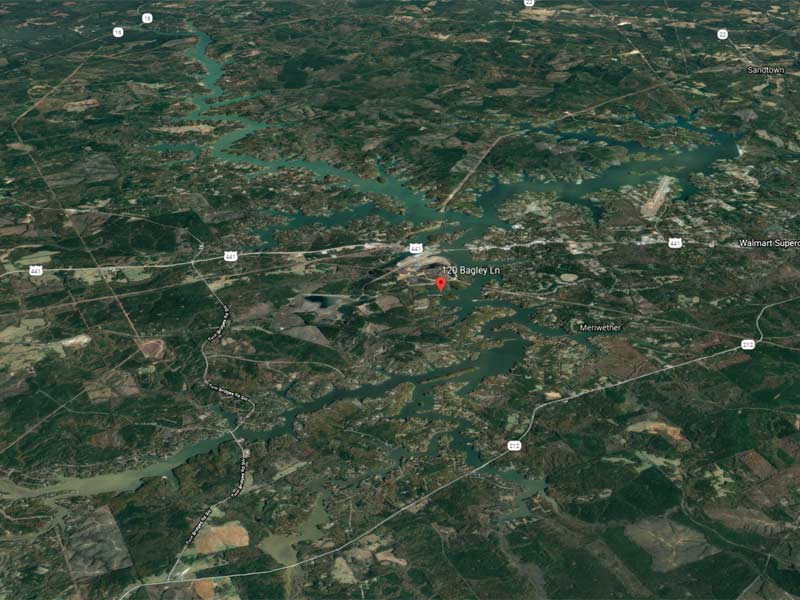 The next Alabama Triton Plus 100% Team Tour Tournament is the 2-day Championship on Pickwick Lake going out of McFarland Park on November 3 – 4.